I received the Sol de Janeiro Limited Edition Glow Oils in PR. All opinions are my own and are not influenced by the receipt of PR, affiliate links or brand partnerships. nd while I didn’t think loose highlighter in baby oil was a terrible idea, I needed something better. 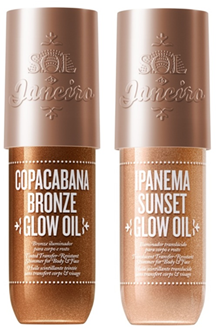 Enter Sol de Janeiro Limited Edition Glow Oils. Listen, Linda… These glow oils had me at hello. The scent of the Copacabana Bronze, their signature Cheirosa ’62 fragrance, is DELICIOUS! I was literally walking around smelling like a snack. The Ipanema Sunset oil smelled a little sweeter but still pretty yummy. The Copacabana Bronze shade worked best for my skin tone and gave me a nice warm glow. I like that these give just a hint of shimmer and I don’t look like I’m covered in stripper glitter. Even though these are oils, my skin didn’t feel especially… oily. It was the perfect amount of moisture and didn’t get all weird with my sunscreen (these do NOT have SPF). I have dry skin so, keep that in mind when you’re considering whether or not this product is for you. 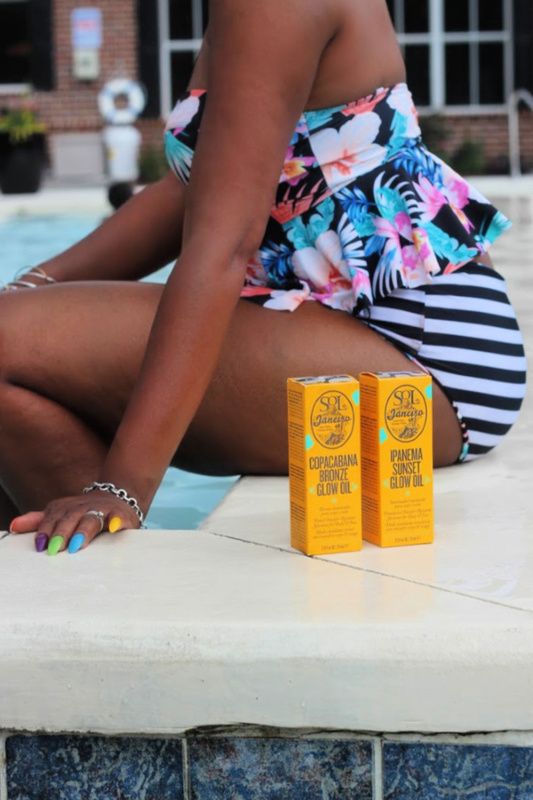 Both products contain skin-loving ingredients like cupacu butter (protects and moisturizes dry skin), anti-oxidant rich acai oil and conditioning coconut oil. We all know coconut oil is the answer to pretty much everything. The best part? These are $35.00 each! That means you can get two of these for just a little more than the price of the body lava. Yes, please. You can grab yourself a Glow Oil (or two) at SoldeJaneiro.com, Sephora.com or in Sephora stores. Go forth and glow my friends!